The American Academy of Pediatrics (AAP) released a policy statement strongly recommending that pregnant women, infants and young children should avoid raw or unpasteurized milk and milk products and only consume pasteurized products. They also endorse the ban on the sale of unpasteurized milk and milk products in the same statement. Milk is pasteurized to get rid of disease causing pathogens such as E. coli, Salmonella and Campylobacter. Pasteurization is a process where milk is heated at a temperature of 72°C (161°F) for 15 seconds then immediately cooled. Another similar process is Ultra-high temperature processing (UHT) where the milk is exposed to a temperature of 138°C (280°F) for a minimum of two seconds. Studies have shown that there is no difference in the levels of proteins, carbohydrates, calcium, vitamins and enzymes in both pasteurized and unpasteurized milk. Claims that unpasteurized milk is healthier and prevents lactose intolerance has not been substantiated by scientific studies. In the early 20th century, tubercolosis was spread through the consumption of contaminated unpasteurized milk. Other health organizations such as the American Medical Association (AMA), the American Veterinary Medical Association (AVMA), the International Association for Food Protection (IAFP), the National Environmental Health Association (NEHA), the U.S. Food and Drug Administration (USFDA), and the World Health Association (WHA) have also taken this stand on unpasteurized milk. Pregnant women, infants and young children should avoid raw or unpasteurized milk and milk products and only consume pasteurized products, according to a new policy statement from the American Academy of Pediatrics. The statement — whose lead author is Yvonne Maldonado, MD, professor of pediatrics at the Stanford University School of Medicine — will be published online Dec. 15 in Pediatrics. In issuing this statement, the academy takes the same position as the American Medical Association, the American Veterinary Medical Association, the International Association for Food Protection, the National Environmental Health Association, the U.S. Food and Drug Administration and the World Health Association. Whether from cows, goats or sheep, raw milk and milk products are a continuing source of bacterial infections that are especially dangerous to pregnant women, fetuses, the elderly, young children and people with compromised immune systems, the statement says. The popularity of raw milk and raw-milk products, such as soft cheeses, has been growing in recent years, in part due to claims of health benefits. But those claims have not been backed up by science. Studies have shown repeatedly that raw milk and pasteurized milk contain equivalent levels of nutrients, such as proteins, carbohydrates, calcium, vitamins and enzymes. Claims that raw milk is not associated with lactose intolerance have not been substantiated by independent studies. "We have no scientific evidence that consuming raw milk provides any advantages over pasteurized milk and milk products," said Maldonado, an infectious disease expert who also is a pediatrician at Lucile Packard Children's Hospital. "But relative to the amount of raw-milk products on the market, we do see a disproportionately large number of diseases and illnesses from raw milk." From 1998 through 2009, there were 93 recorded outbreaks of disease resulting from consumption of raw milk or raw-milk products, causing 1,837 illnesses, 195 hospitalizations and two deaths. Most of those illnesses were caused by contamination of the product with E. coli or with species of Salmonella or Campylobacter. Infections by such bacteria can cause diarrhea, fever, cramps, nausea and vomiting. Some infections can become systemic. A 2011 survey by the National Association of State Departments of Agriculture determined that raw milk and raw-milk products were legal to sell in 30 states, though only a few allowed sales in grocery stores. California is among the states that allow such sales. The FDA banned interstate shipment and sales of raw milk and some raw-milk products in 1987, but it has no jurisdiction over whether such products created in a state may be sold within that state's borders. An exemption in the FDA prohibition allows cheeses that have been aged at least 60 days to be transported across state lines for sale, provided the cheese is clearly labeled as unpasteurized. 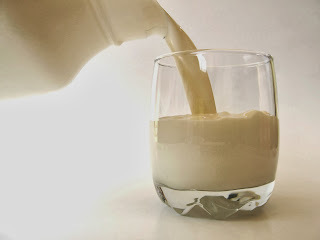 Before pasteurization was developed, one of the major causes of childhood disease and death was drinking milk because there was no way to decontaminate it. It was not uncommon for children to contract tuberculosis from milk. Some advocates of raw-milk consumption argue that cows are healthier now than in the pre-pasteurization era, but Maldonado said that even in healthy herds, there are other organisms that can cause serious bacterial infections in children and pregnant women. "There have been recent studies demonstrating that even healthy dairy animals in good facilities carry some of these organisms on their udders, or the organisms are somewhere in their environment, and the milk can be contaminated with them," Maldonado said. "When these organisms are ingested, especially by young babies or pregnant women, they can cause severe illness." The academy's policy statement endorses a nationwide ban on the sale of raw or unpasteurized milk and milk products, including raw-milk cheeses that have been aged for more than 60 days. In endorsing a raw-milk cheese ban, the statement cited scientific evidence that Escherichia coli 0157, a pathogenic strain of the E. coli bacteria that can cause particularly severe symptoms and in some cases liver failure, can survive in raw-milk cheese even after 60 days of aging and has been linked to E. coli outbreaks. The statement also encourages pediatricians to lobby their state representatives in support of a ban on raw-milk sales in the states where they live. The academy's statement contains a list of organisms detected in raw milk and raw-milk products. In addition to many species of bacteria, the list includes giardia, rabies and norovirus. According to the U.S. Centers for Disease Control and Prevention, norovirus is the most common cause of acute gastroenteritis in the United States, causing 19-21 million illnesses and contributing to 56,000-71,000 hospitalizations and 570-800 deaths annually. "We invented pasteurization to prevent these horrible diseases," Maldonado said. "There is really no good reason to drink unpasteurized milk."